If you are looking to have an apartment with a view and accessibility to some of the best places nearby, you should definitely check out Flamingo South Beach condos. No doubt, it is one of the best areas to have a condo owing to its proximity to the South Miami Beach. You can find endless condos and even office towers in the area that proves just how popular this place really is. The Flamingo South Beach condos redefine what luxury truly means. It is made of three towers and only the south tower has the flats for sale. South Miami Beach is famous for its nightlife and having the apartment closeby means, you could catch up on impromptu plans as and when you want. Even when it comes to amenities offered at the Flamingo South Beach, you are never going to run out of options mainly because the condos have been designed to help people truly live their life. The infinity pool, hot tubs, spa services, fitness center are some of the endless services which these condos boast of. With the prices of property shooting high every year, choosing to invest in a condo in this central area in Miami seems like a smart move to make. The penthouse residents of this area have access to sundeck, service bar and there are also relaxing gazebos nearby too. So, you should explore the details of what you can get and the kind of money you will need to spend. Based on that, it is a whole lot easier to decide if you should get the condo for your family and live the kind of luxurious life you have always been looking to have. Immerse yourself in the rich party culture of Miami and give your life the perfect new head start that you want. South Beach is the icon of Miami, Florida. It is the neighboring city of Miami, Florida in the USA. It is located in the east of Miami city between the Atlantic Ocean and Biscayne Bay. This city covered all the barriers of Miami Beach of Indian Creek and this is the first area of the Miami Beach to be developed. Over the years, it has gone through a number of artificial and natural changes. Earlier this place was started as a farmland but later the Lummus Brother - businessmen of Miami has acquired 400-acre land and constructed an oceanfront city of single-family residences. In the modern time, the South Beach Flamingo Condos are very popular. The construction boom in the area has makes this area popular and wealthy destination of living. The high-density and high-rise buildings are known as the “Concrete Jungle” and this development has changed the area into a low-crime and pedestrian-friendly neighborhood. Probably, you may already know that South Beach is popular for clear & warm water and white sand beaches but let us now remind you that this is the Best Beach in America. The future of residents of South Beach Flamingo Condos can be expected as completely renovated with quartz countertops, porcelain floors, and stainless steel appliances. The exterior of Flamingo condos has also gone through major changes. The vision of Flamingo condos includes soothing water elements, exotic foliage and modern architecture in every corner. People may wonder why South Beach Flamingo Condos in Miami has been so successful in the modern real estate market conditions. The vast array of amenities offered in these residences make these condominiums selling like the hotcakes. If you are looking to buy or rent a condo in this most impressive residential building then I will suggest you visit https://southbeachflamingocondo.com/ and filter your choices in your budget to enjoy your life to the fullest. South Beach is the formation of 23 Southern-most beaches of Miami and is the mix of highly popular real estate properties. From historic art deco to Bohemian cottages to ocean-front lavish condos this place has everything to please anyone. To create an amazing lifestyle, this place has a perfect mix of world-class cuisine, dazzling beaches, sizzling nightclubs, and designer art galleries and boutiques. The South Beach Flamingo Condos is one of the residential properties here that represents the rich and modern lifestyle of this city. Sometimes the real estate market of Miami seems a consistent market but you will find a gem in the heart of this city that is always shining and you will know it by the name of South Beach Flamingo Condos. These condos are the best in architecture, art, style, modernity, and amenities. If you want to own a condo in the hottest Miami city then you should not miss buying a condo in this residential building. South Beach is better known as SoBe and is very popular in Miami area for its rich lifestyle and residential and commercial culture. The multi-cultural events in the city will thrill you with its uniqueness. One of the most popular places to live in Miami is the Flamingo Condominiums. This is the ideal place for the people who are looking for a great weather, amazing lifestyle, and happening places to dine & shop. 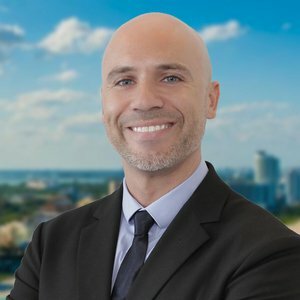 If you have decided to buy a condo in South Beach Flamingo Condos then you are suggested to visit the official real estate website of Flamingo condos at https://southbeachflamingocondo.com/ and look for the available options. Once you visit the website, you will get 2 options to filter your choices to BUY or RENT a property and it will further show you the list as per your preferences You can also contact the real estate experts at the website anytime. South Beach is an international city with a multi-cultural flair that will excite you with so many unique places that you can call home. The real estate area of this neighborhood includes the most southern part of Miami. People around the world are interested in visiting here for vacation purpose, and for the professional purposes. Once they visit the city they get attracted to this place to an extent that they decide to buy a residential property here to enjoy their life. If you are here for vacations or you want to move here permanently then you should look for the residential property in the South Beach Flamingo Condos at 1500 Bay Road, Miami. This beautiful area draws the people from around the world with residents from the Caribbean, Latin America, Canada, Europe, America, and Israel. The South Beach Flamingo Condos has beautiful sea-facing views along with attractive commercial towers. This residential tower has a number of condos listed with the lowest price that suits your budget too. The South Beach has easy access to the downtown, beaches, and airport. A number of Penthouses are available to for the people who want a private access to the rooftop, spa for your relaxation, service bar, and beautiful balconies to gaze the city. You can easily get around to this place because it is just a few blocks away from the train station. The luxurious lifestyle of the South Beach offers a lifestyle that you were looking for. The South Beach has three residential towers but it has only one tower that has units for sale and the other two towers have units only for the rentals. If you are impressed by the beauty of South Beach Flamingo Condos then you are suggested to visit the official website https://southbeachflamingocondo.com/ to look for the available property options that suit your requirements. You can buy a condo in South Towers very easily by following just a few guiding steps by the agents available to help you. It is always amazing to visit South Beach in Miami. In early 2006, in the state of Florida, Flamingo has become the largest condo-conversion. Flamingo Condos have 3-towers – South, North, and the Center Towers - with total 1,688 residential units. The multi-million renovation and restoration process is undergoing. The current status of South Tower is Fully Sold and the MCZ Development Company from Chicago is now working on to sell the North Tower. So, if you are looking for Flamingo South Beach Condos, this is the best time for you to invest. You can get the best property in Florida where you will love to spend the beautiful days of your life. It is interesting to know that Flamingo South Beach Condos is located at 1500 Bay Rd, Miami and the apartments here have the best views of the best places. You should check out these condos at least once and you will see the easy accessibility of the best nearby places. Undoubtedly, this is one of the best places to have a condo-owning proximity to South Beach. This area is so popular for its residential and commercial property that you can get endless options for both to choose from. This place redefines the true meaning of luxury and has all the modern amenities to offer you. The South Beach of Miami is very popular for its amazing nightlife and sky-high buildings. When it comes to amenities that Flamingo South Beach Condos offer, you will never run out of the options. You can enjoy spa services, infinity pool, fitness center, and hot tubs, and many other services that this building boasts of. If you are looking to own a property in this area then you are suggested to visit the website https://southbeachflamingocondo.com/ and explore it for the property options that can fulfill your all your requirements that you have for your dream home.